It was such a success last year, Valley Art Center is doing it again this February! Hot Chocolate @ Home is an exciting fundraising model that gets everyone engaged in a way that fits every individual. Patrons can buy a ticket, support Valley Art Center, win fabulous prizes and never have to leave home on a cold, snowy night! Best of all, participants enjoy a 100% tax deduction and 100% of their ticket purchases go directly to Valley Art Center. Stay home and purchase a Hot Chocolate @ Home ticket for $40, or make a donation in any amount to support Valley Art Center, and enter the Door Prizes drawing! Each ticket purchase is a fully tax-deductible contribution that directly benefits Valley Art Center. Lucky winners will collect bags and baskets filled with gift cards and chocolates donated by local businesses! Door Prizes are drawn at 5:00 p.m. on Thursday, February 28 and winners are notified personally. Tickets may be purchased online at valleyartcenter.org, by phone at 440-247-7507 or at the Valley Art Center reception desk during business hours. to be eligible for the door prize. Host or attend a Hot Chocolate @ Home House Party for four or more any time during the month of February, with a suggested contribution of $40 per guest donated to Valley Art Center! While some patrons plan to host parties in their homes or studios for invited friends, other planned House Parties are open to the public. VAC members, patrons, the local community, area businesses and local nonprofits are invited to host Hot Chocolate @ Home House Parties in February in collaboration with Valley Art Center. 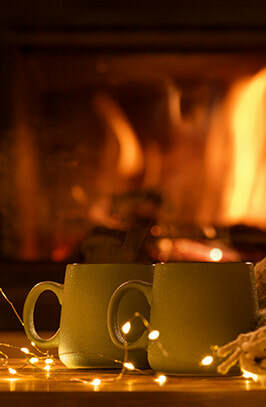 Contact Valley Art Center at 440-247-7507 to learn more about attending or hosting a Hot Chocolate @ Home House Party. Purchase 50/50 Raffle tickets anytime from now until 4:00 p.m. on February 28th! Tickets for the ongoing raffle are $5 each or 5 for $20. The sole cash prize winner will be drawn after 5:00 p.m. on February 28. The winner is notified personally and via social media. 50/50 Raffle tickets are available at Valley Art Center or at Valley Art Center events. Call 440-247-7507 to get your 50/50 Raffle tickets! Saturday, March 2, 2019 10 a.m.-5 p.m.
Valley Art Center and Lowe's Greenhouse are proud to present the 3rd annual Early Bird Art and Craft Show. The one-day show and sale features 30 fine artists and crafters in the beautiful setting of Lowe's Greenhouse's inspiring and spacious facility. Last year was a tremendous success with happy shoppers spending the day enjoying artistic and botanical delights! Be sure to stop again for another year of this exciting partnership! ​A portion of proceeds from Lowe's Greenhouse sales during the event will benefit Valley Art Center.